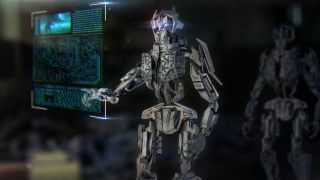 Many of the technology world's leading minds have come together to pledge not to use artificial intelligence (AI) technology to develop weapons. Despite fears that AI will one day rise up and humanity, many of the technology world's leading minds have agreed to only use the platform for good. The Lethal Autonomous Weapons Pledge from the Future of Life Institute counts the likes of Elon Musk and DeepMind co-founder Demis Hassibis among its hundreds of signatories, along with 172 organisations including University College London. “We will neither participate in nor support the development, manufacture, trade, or use of lethal autonomous weapons,” the document reads. “Moreover, lethal autonomous weapons have characteristics quite different from nuclear, chemical and biological weapons, and the unilateral actions of a single group could too easily spark an arms race that the international community lacks the technical tools and global governance systems to manage,” it added, noting that machines should be blocked from making "life-taking decisions". Regulation and governance of AI technology has been a worry for many industry observers and experts for some time, as the field rapidly develops. Musk has previously described AI as, “summoning the demon”, with the late professor Stephen Hawking famously once stating that the development of full artificial intelligence, "could spell the end of the human race." What is AI? Everything you need to know here!